Uplifting Lives. Uplifting Each Other. Uplifting Our Community. A 15, 000 square foot facility that provides short-term acute symptom management for hospice patients - 24 hours a day, seven days a week. Each of the 12 suites provides adequate space for family members to visit and be complete with a private 10 x 10 porch. Two of the suites are for isolation, and one is equipped for bariatric care. The grounds have a landscaped path. The care center building includes a chapel, a playroom for children and a kitchenette for the families. Hospice of St. Francis sought a Certificate of Need from the State of Florida in late 2011 and received notice of approval in February 2012. The Hospice Care Center is the only facility of its type in North Brevard. Emilie Sasko, RN, the founder of Hospice of St. Francis, was in attendance at the Ground Breaking Ceremony in November 2013. She passed away in our care in early 2014, but she had the opportunity to see her dream for our organization come to fruition. 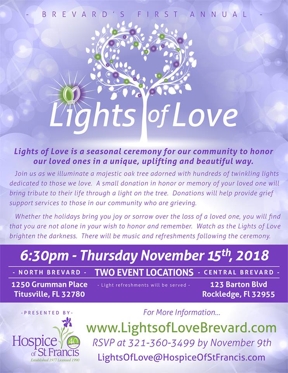 Lights of Love is a seasonal ceremony for our community to honor our loved ones in a unique, uplifting and beautiful way. Hospice is a concept of care, not a place. Hospice provides support and care for persons in the last phases of incurable disease so that they may live as fully and as comfortably as possible. Hospice recognizes dying as part of the normal process of living and focuses on maintaining the quality of remaining life. Palliative care (care which enhances comfort and improves quality of life) to all terminally ill persons with less than six months prognosis. Concern for the patient and family as the unit of care. Management of care by an experienced team of clinical professionals. Full range of supportive care. A holistic approach that includes the physical, social, psychological, emotional and spiritual components of a human being. Care for patients...support for loved ones. Our Hospice of St. Francis purpose is care, compassion and comfort for Brevard residents nearing end-of-life, and their families. Hospice of St. Francis serves terminally ill patients who wish to die at home, where ever they call home, as free from pain as possible. Their physical, emotional and spiritual needs – and those of their families – are met by our professional caregivers, men and women whose lives are dedicated to patient care. Hospice of St. Francis, serving all of Brevard, is our county's oldest and only independent not-for-profit hospice. We invite you to learn more about Hospice of St. Francis services and what they mean to you and the people important to you. Care for patients...support for loved ones. It's what we do at Hospice of St. Francis. Hospice of St. Francis was started in 1977. Emily Sasko, R.N., created Hospice of St. Francis because of the need she saw for higher levels of care, understanding and compassion for patients nearing the end of their lives. Local, independent and non-profit, Hospice of St. Francis was licensed in 1990 as a provider of services for Medicare and Medicaid patients. Our purpose throughout our history: serving Brevard's terminally ill residents with compassionate, quality care and giving support to their loved ones. The hospice has grown from our early days as a volunteer-only provider to today having a professional staff of over 100 and dozens of dedicated, highly trained and experienced volunteers. HOSF serves all of Brevard County with our corporate office located at 1250-B Grumman Place, Titusville Florida 32780 and a field office located at 4875 N. Wickham Rd., Suite 104, Melbourne, FL 32940. We can be reached at: 321-269-4240 or toll free at: 866-269-4240, fax: 321-269-5428. TITUSVILLE, FL - Drug overdose deaths continue to soar. The local and national opioid epidemic is spiraling out of control. Death rates in the last 12-months increased by 17%. More than 64,000 Americans died from drug overdoses, including illicit drugs and prescription opioids. In Brevard County, two to three of our citizens are dying each week from drug overdoses. The number of Opioid dependent babies more than quadrupled in the last decade. And, in out county 30% of the babies born are addicted (NAS - Neonatal Abstinence Syndrome). The Doctors' Goodwill Foundation recognizes the urgency and is planning a Masquerade Ball to benefit our community. All proceeds will be used to bring more awareness and help provide services to anyone in Brevard County suffering from addiction or other mental health issues and to create jobs. The event is planned for Thursday, November 1, 2018 at 6 p.m. at the Space Coast Convention Center located at 301 Tucker Lane, Cocoa, FL 32926 (Holiday Inn). There will be entertainment, speakers on these important issues, great Indian Cuisine and a live auction by Brevard County Sheriff Wayne Ivey, with the goal being to help fund training for much needed specialists who will allow for continuity of care. The issue of Opioid Addiction and Suicide affects all of us. The impact on our community is overwhelming. Please help us to "SHATTER THE STIGMA" of substance use disorders and suicide, in our communities, the workplaces, and our schools, colleges, and universities. For more information visit www.doctorsfoundation.org or call 321-735-6492. The Doctors' Goodwill Foundation is a 501(c) (3) charitable organization in the United States. The Foundation consists of local physicians and health care professionals, whose goal is to promote health related education, research and participates in local and international charitable medical missions. BREVARD COUNTY, FL - The Doctors' Goodwill Foundation will provide the community with the opportunity to access a wide variety of healthcare information and a presentation on changes to VA Aid and Attendance Benefits on Friday, November 2, 2018 from 9 a.m. to 1 p.m. The event will be held in the Space Coast Convention Center located at the Holiday Inn, 301 Tucker Lane, Cocoa 32926. The Lecture series will also include information on Pain Management, Medical Cannabis and the Opioid Crisis. Admission and parking are free to the public. Lunch will be provided. The Doctors' Goodwill Foundation is a 501(c) (3) charitable organization in the United States. The Foundation consists of more than 300 area physicians and health care professionals, whose goal is to promote health related education, research and participates in local and international charitable medical missions. SOUTH BREVARD COUNTY, FL - Hospice of St. Francis is seeking compassionate people to join our mission of Uplifting Lives by becoming a hospice volunteer. Volunteers are needed to visit patients and perform clerical duties in the office. Opportunities are also available in other capacities throughout Brevard County. No previous experience is needed. Training is provided at no cost to the participants. Melbourne - Wednesday, June 27, 2018 from 9 a.m. to 12 p.m.
Titusville - Tuesday, June 5; Tuesday, June 12; Thursday, June 14 and Tuesday, June 19, 2018 from 6 p.m. to 9 p.m.
Hospice of St. Francis, Brevard County's first hospice, is a local, independent, non-profit organization and is celebrating its 40th anniversary of providing care for terminally ill patients and support for their families. All of Hospice of St. Francis programs are free of charge to Brevard County residents. For more information on programs and services, call 321-269-4240 or visit the website at www.hospiceofstfrancis.com. Hospice of St. Francis' Bereavement Program supports and assists those who are grieving as they progress through their bereavement period. We are committed to providing a no cost comprehensive program available to any Brevard County resident in need of assistance. The program includes a variety of adult support groups, social activities and community events. For more information about dates, times and locations of support group and to register, call the Bereavement Department, at 321-269-4240 or e-mail bereavementservices@hospiceofstfrancis.com. SOUTH BREVARD COUNTY, FL - Hospice of St. Francis is seeking compassionate people who would like to become hospice volunteers. Volunteers are needed to visit patients and perform clerical duties in the office. Opportunities are also available in other capacities throughout Brevard County. No previous experience is needed. Training is provided at no cost to the participants. Anyone can learn how to be involved by attending one of our upcoming Hospice 101 ‒ Volunteer Introduction Classes. The classes will be held at the Melbourne office located at 4875 N. Wickham Road, Ste. 108, Melbourne 32940 on the following days and times: Tuesday, April 24, 2018 from 5 p.m. to 8 p.m.; Saturday, May 19, 2018 from 9 a.m. to 2 p.m. or Wednesday, June 27, 2018 from 9 a.m. to 12 p.m.
BREVARD COUNTY, FL – Brevard County TRIAD is working on the 18th Annual Senior Santa Project. The goal of the Senior Santa project is to provide the elderly in nursing homes and hospice settings with a personal gift around the holidays. Recipients of these gifts are residents who have little or no support in the area and would not otherwise receive a special gift, when family and friends usually gather. For 2017, TRIAD has adopted nearly 1,700 senior Brevard County residents to receive gifts. To accomplish this, they need assistance from the community. Santa face ornaments with specific items these seniors want or need have been placed on Senior Santa trees located at the Schechter Community Center Satellite Beach; One Senior Place on Spyglass Hill Road, Viera; Parrish Senior Solutions office on Century Medical Drive, Titusville; Titusville Police Department on John Glenn Blvd., Titusville and the Palm Bay Chamber office on U.S. 1, Palm Bay. Check at the Senior Santa tree location for a list of Gift Drop Off locations or visit https://brevardtriad.org/ for details. All gifts purchased must be received by December 5, 2017. TRIAD asks that all gifts be returned unwrapped in a shopping bag with the Santa head of recipient. Donations are welcome, and TRIAD will do the shopping. Please send donations to Brevard County TRIAD, Inc. P.O. Box 410518, Melbourne, FL 32941. For more information, contact Jennifer Helin at 321-544-3052. Brevard County TRIAD, Inc. is a 501(c) 3 non-profit organization. TRIAD and its many organizations and community partners work together to develop programs that address the issues of our growing senior population, as identified at the regional SALT Council meetings. The local Brevard County TRIAD, Inc. is a partnership agreement between the Brevard County Sheriff's Office, local Law Enforcement agencies, and the State Attorney's Office. Nationally, TRIAD comprises the AARP, the National Sheriff's Association, and the International Association of Chiefs of Police. 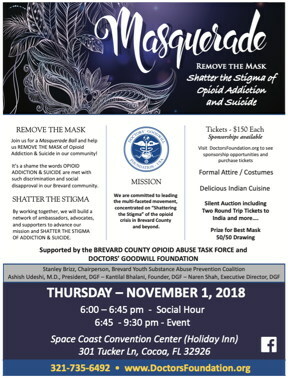 For additional information, visit https://brevardtriad.org/. Brevard County, Fla. (June 2017) -- Since October of last year, Hospice of St. Francis has been generating their own power from the sun and expects to save thousands in utility costs each year. Through forward thinking initiatives like this one, Hospice of St. Francis is helping to ensure the legacy and foster the mission of the organization now celebrating its fortieth year. 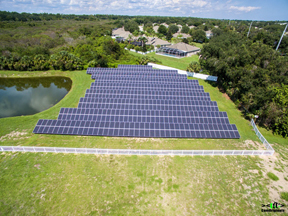 Hospice of St. Francis is one of the first facilities in Florida to launch and execute a renewable energy project at this scale. "Making the change to solar power has already had a profound, positive impact on Hospice of St. Francis, and that impact will continue to grow for many years to come," said Hospice of St. Francis President and CEO Joseph Killian. By producing 20% of the facility's energy needs, the solar power system has helped Hospice of St. Francis become energy efficient and more sustainable, allowing the company to focus more financial resources on patient care. "It all comes down to doing the best we can for our Brevard County residents and their families. 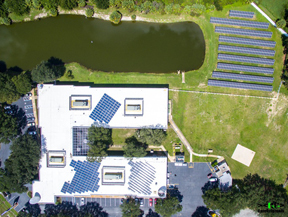 We're the first hospice in Florida to install a solar panel system, and we're hoping others will follow suit," said Killian. 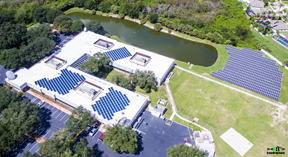 The 250-kilowatt system of 962 sun-concerting solar panels were mounted on the roof and ground of the facility by Brevard Solar. The system is expected to help Hospice of St. Francis save over $30,000 annually and approximately $1,120,000 in 25 years. Hospice of St. Francis is always looking toward creating value and containing costs, the investment in renewable energy is just one example of the importance they place on fiscal and social responsibility. For more information, or to schedule interviews, please call Wanda McCrea at 321-269-4240 or email Wanda at WMccrea@hospiceofstfrancis.com. Our Mission: Uplifting lives. Uplifting each other. Uplifting our community. Established in 1977, Hospice of St. Francis is now celebrating its fortieth anniversary and is recognized as the longest-serving and only independent not-for-profit hospice in Brevard County. With locations at 1250 Grumman Place in Titusville and 4875 N. Wickham Road in Melbourne, the hospice exists to provide compassionate, quality care for the terminally ill, support for loved ones and resources for community members faced with end-of-life issues throughout Brevard. Early in 2014, Hospice of St. Francis began accepting patients at the Edward M. Poe Hospice Care Center, located at 1240 Grumman Place in Titusville. The 12-suite, full-service hospice care facility provides short-term acute symptom management for hospice patients, 24 hours a day, seven days a week. Brevard Solar is Florida's leader in installing top of the line solar electric systems, solar powered emergency systems combined with other "point of use" energy saving products at an affordable price. Brevard Solar prides itself on providing North American made "Best in Class" solar products and a complete turn-key installation process. MERRITT ISLAND, FL -- The Sunflower House, located in Merritt Square Mall on Merritt Island, will be hosting a grief support group meeting every first and third Monday of each month from 2 p.m. to 3:30 p.m. The support group sessions will begin on Monday, August 7, 2017. Hospice of St. Francis' grief support professionals will be leading each session. The Hospice of St. Francis Bereavement Program supports and helps guide those who are grieving as they progress through their bereavement period. Hospice of St. Francis is committed to providing a no cost comprehensive program available to any Brevard County resident. More information and registration is available by calling Kristie Henry-Roling, MSW at 321-269-4240, toll free 866-269-4240 or e-mail her at bereavement@hospiceofstfrancis.com. Hospice of St. Francis (HOSF) is the first hospice established in Brevard County. HOSF is a local, non-profit, non-sectarian organization that serves the needs of terminally ill patients and their family and friends. Hospice of St. Francis' programs and services are provided throughout Brevard County�north to south. For more information on programs and services, call 321-269-4240, toll free 866-269-4240 or visit wwwhospiceofstfrancis.com. Brevard County, FL -- The Women's Center is offering a summer camp for girls in Melbourne and Titusville. Camp GAIA (Girls' Adolescence, Independence & Achievement Camp) is designed for girls entering the 5th & 6th grade and 7th & 8th grade in the upcoming school year. Each day, camp activity will focus on a specific theme, such as learning to take care of themselves, leadership and teamwork, being a good citizen and giving back to the community. Learning points at the camp will focus on good nutrition and exercise, self-awareness, channeling emotions and setting future goals. Melbourne Camp GAIA will be held at The Women's Center, 1425 Aurora Road, Melbourne 32935. 5th and 6th grade Camp - Monday, June19 through Thursday, June 22, 2017 - 8 a.m. to 5 p.m.
6th and 7th grade Camp - Monday, June 26 through Thursday, June 29, 2017 - 8 a.m. to 5 p.m.
Titusville Camp GAIA will be held at The Women's Center, 400 Julia Street, Titusville 32796. 5th & 6th grade Camp - Monday, July 10 through Friday, July 14, 2017 – 9 a.m. to 4 p.m.
7th & 8th grade Camp - Monday, July 17 through Friday, July 21, 2017 – 9 a.m. to 4 p.m. The cost for a one-week camp session is $125.00 with $25.00 due upon registration. Scholarships are available. Space is limited. For more information, review the brochure and application online at www.womenscenter.net. Domestic violence affects one in every four women, and over 100 children are abused every hour. The Women's Center in Brevard serves over 10,000 women and children annually. The agency's goal is to assist in creating safe, healthy, self-sufficient lives by providing support, education, counseling, information and services to survivors of domestic, dating, and sexual violence, and those suffering the ill effects of poverty, homelessness, and mental health challenges. The Women's Center is a 501 (c) 3 United Way agency. BREVARD COUNTY, FL – North Star, Child Grief Support Program, will be hosting a Teen Art Camp at Foosaner Art Museum in the Eau Gallie Art District from Tuesday, June 27 through Friday, June 30, 2017. The camp will be held in the mornings from 9 a.m. to 12 p.m. This special Teen Art Camp will offer teens, ages 13 to 18, an uplifting week, during which they will learn to make fused glass art as a means of expressing feelings associated with their loss. Daily activities will include, peer support, personal journaling and education about the grief process. Camp will be lead by professional grief counselors, Christy Taylor, MSW, and Hilary Farnum, MSW, along with professional glass artist Sky McDouagh. The Teen Art Camp is offered free of charge to teens in Brevard County. Space is limited. Early registration is advised. To register, call Hilary Farnum at 321-269-4240, toll free 866-269-4240 or e-mail hfarnum@hospiceofstfrancis.com. North Star, Child Grief Support Program is a program of Hospice of St. Francis. Any Brevard County resident is welcome to utilize the Hospice of St. Francis support programs free of charge, whether hospice services are used or not. Grief support programs are available for children starting at age 3, young adults from 19 to 31 and older adults. For more information about services and programs, visit www.hospiceofstfrancis.com. BREVARD COUNTY, FL – The Department of Children and Families and Brevard Commission on Aging will be hosting the 8th annual World Elder Abuse Awareness Day (W.E.A.A.D.) event to benefit Brevard Alzheimer's Foundation. The event will be held on Friday, June 16, 2017 from 10 a.m. to 1 p.m. at Melbourne Auditorium, 625 E. Hibiscus Blvd., Melbourne 32901. Admission, parking and breakfast and lunch are free to all attendees. This year's Brevard County event will provide the community with information on resources available to assist them. Exhibitors will include: memory screenings, caregiver information, local law enforcement and public safety providers, community service resource providers, local pharmacies, meal providers and transportation providers with options and solutions. Every year, nearly five million older persons are abused, neglected, and exploited. In addition, elders throughout the United States lose more than $2.6 billion annually due to elder financial abuse and exploitation, funds that could have been used to pay for their basic needs. World Elder Abuse Awareness Day (WEAAD) was launched on June 15, 2006 by the International Network for the Prevention of Elder Abuse and the World Health Organization at the United Nations. For more information, visit www.INPEA.net. TITUSVILLE, FL -- North Star, Child Grief Program, will be hosting "Healing Hues Art Camp" Monday, June 19 through Friday, June 23, 2017 from 9 a.m. to 12:30 p.m. The camp will be held at Hospice of St. Francis' office, 1250-B Grumman Place, Titusville 32780. "Healing Hues Art Camp" welcomes children ages 9 to 12, who have experienced a loss in their family. A fun-filled week at camp will help them heal and grow through expressive arts. Participants can share their feelings, recognize their loss and begin to heal with other children close in age. Activities will include, getting acquainted, yoga and mindfulness activities, expressive arts and crafts, and lunch. Camp will be lead by Hilary Farnum, MSW, North Star Coordinator, and Jill Noel, Brevard County School Art Teacher. All participants must be registered to attend by June 9, 2017. For registration and more information, call Hilary Farnum at 321-269-4240. North Star, Child Grief Program, is a program of Hospice of St. Francis. Hospice of St. Francis (HOSF) is the first hospice established in Brevard County and will celebrate its 40th anniversary in November 2017. HOSF is a local, non-profit, non-sectarian organization that serves the needs of terminally ill patients and their loved ones. Hospice of St. Francis' programs and services are provided throughout Brevard County�north to south�free of charge to any Brevard County resident. For additional information, call 321-269-4240 or visit www.hospiceofstfrancis.com. Melbourne, FL – Our Lady of Grace Catholic Church will be hosting Caregiving Education and Resource classes for current and future caregivers, their family and friend helpers. The church is located at 300 Malabar Road SE, Palm Bay 32907. Classes will be held from 3 p.m. to 4:30 p.m. on Mondays and Thursdays beginning Monday, April 24 and concluding on Thursday, May 11, 2017. All classes were developed nationally in response to the issues caregivers, themselves, identified. Each class focuses on different issues a caregiver will face. Hospice of St. Francis' programs and training classes are offered free of charge to Brevard County residents. To register, please contact Barbara Borman, RN at 321-269-4240 x3452, toll free at 866-269-4240 or e-mail her at caregiving@hospiceofstfrancis.com. Brevard County, FL -- Hospice of St. Francis' Bereavement Support Groups are held throughout Brevard County. Bereavement services are available free of charge to any Brevard County resident. Monthly support groups meet regularly each month. Call to register and learn locations. First Wednesday at 9 a.m. - Men's Breakfast, Titusville. First Thursday at 11:30 a.m. - Ladies' Luncheon, Titusville. Second Monday at 11:30 a.m. - Melbourne Lunch Bunch, Melbourne. Third Thursday at 11:30 a.m. - New Beginnings Luncheon, Titusville. Mondays at 3 p.m. - Support Groups, Hospice of St. Francis, 4875 N. Wickham Rd., Ste. 108, Melbourne 32940. Second and fourth Thursday from 1 p.m. to 2 p.m. - Support Groups, Hospice of St. Francis, 1250-B Grumman Place, Titusville 32780. Second and fourth Thursday from 5:30 p.m. to 7 p.m. - Support Groups, Hospice of St. Francis, 4875 N. Wickham Rd., Ste. 108, Melbourne 32940. Hospice of St. Francis' Bereavement Program supports and assists those who are grieving as they progress through their bereavement period. We are committed to providing a no cost comprehensive program available to any Brevard County resident in need of assistance. The program includes a variety of adult programs, social activities and community events. For more information about dates, times and locations of support group meetings and activities, please call Kristie Roling, MSW, North County Bereavement Coordinator or Christy Taylor, LCSW, South County Bereavement Coordinator at 321-269-4240 or 866-269-4240 (toll free). Cocoa, FL - Habitat for Humanity of Brevard, Inc. will be celebrating the start of construction on a new home at 923 Barbara Jenkins in Cocoa with a Wall Raising Ceremony on Saturday, September 17, 2016 at 9:00 a.m., when the new home's owners, the Hammond family, will be presented with the Ceremonial Hammer. The Ceremony is an important step in marking the beginning of the journey taken in completing this project. Nikki Hammond and her three children, as well as many volunteers, community leaders and sponsor representatives, will be lifting the walls and beginning the frame of the house. The construction of this new single family home is made possible by generous patrons, donated materials, volunteer labor and the dedication and commitment of the new homeowners. Home sponsors for Habitat of Brevard include: The Witthus Family Trust, Bank of America, Merritt Island High School Campus Chapter and State Farm. In anticipation of Saturday's events, a grateful Nikki Hammond exclaims, "It will be a blessing, and I have always wanted to own my own home. I have always wondered what that felt like. I want my kids to be successful, independent, go to college, and reach for the stars! I want them to have a better future than I have. I want them to look at me and see my hard work in this program as an example." Like all Habitat homeowners, the Hammond family will contribute a minimum of 200 hours of "sweat equity" working on the construction of their own home, and participate in educational programs designed to strengthen the entire family and help ensure their success. The family will make monthly payments on a low-cost, no interest mortgage, which in turn will go toward building more Habitat of Brevard homes. Celebrating more than 30 years of building houses and building hope in Brevard County, Habitat for Humanity of Brevard is a non-profit, non-denominational Christian housing ministry that has successfully constructed more than 339 homes for families. Dedicated to eradicating substandard housing by building simple, decent, affordable homes in partnership with low and very-low income families in need, Habitat for Humanity is a catalyst for individual and community transformation. For more information about Habitat for Humanity of Brevard and upcoming builds, contact Pam Davis at 321.728.4009 x113 or Pam@BrevardHabitat.com or visit www.brevardhabitat.com. COUNTY, FL -- Hospice of St. Francis, the longest-serving Brevard County Hospice, announced the Grand Opening of their new Community Foundation. The Grand Opening and four-chamber Ribbon Cutting will be held Thursday, May 26, 2016 from 5 p.m. to 7 p.m. at their Melbourne office located at 4875 N. Wickham Road, Suite 108, Melbourne 32940. The public is invited to attend. The Hospice of St. Francis Community Foundation was formed to help support the Community Outreach programs offered to all Brevard County residents free of charge, regardless of whether their hospice services have been utilized. The Outreach programs the Foundation will support include: Adult Bereavement programs, North Star — Child Grief Program, Caregiver Education and Resource Program, We Honor Veterans Program, Pet Pledge Program and St. Francis Pathways to Healthcare — Palliative Care Program. "We are excited to have our Community Foundation up and running," said Chris McAlpine, Chairperson of The Hospice of St. Francis Community Foundation. "With all of the changes being made to healthcare reimbursement, we did not want our Community Outreach Programs to suffer. For 39 years, we have been devoted to this community, and we intend to keep growing those programs to help all Brevard County residents." Donations can be made online at the website, www.hosfcf.org and are also accepted by mail. Donors can specify which program they want the funding to assist by designating it on their checks. Donations should be made payable to The Hospice of St. Francis Community Foundation, 1250-B Grumman Place, Titusville, FL 32780. BREVARD COUNTY, FL - Brevard County TRIAD, Inc. would like to acknowledge all who made this year's Valentine's project a huge success. Over 4,000 personally designed Valentine cards, created by area students, were delivered to skilled nursing facilities, Meals on Wheels recipients and the Seniors at Lunch programs. The Valentines are an annual intergenerational project that brings area youth and seniors together. The cards and notes are delivered to skilled nursing facilities where residents proudly display their notes for months. If there are enough, cards are also distributed to the Seniors at Lunch programs and Meals on Wheels participants. This year, TRIAD was able to distribute cards to all three. TRIAD extends a big thank you to Brevard County schools for participating each year. Private schools and FIT have also joined in, donating their time and talent. Aging Matters has been a great help in coordinating the distribution and delivery of the Valentines through their programs. There are many volunteers that help make this project work, and TRIAD appreciates all that was done to make seniors feel loved. To see a sample of students' creations, please go to www.BrevardTriad.org. Brevard County TRIAD, Inc., created in 1998, is a partnership between the Brevard County Sheriff's Office, local Law Enforcement agencies and the State Attorney's Office. TRIAD is tasked with identifying and developing programs to address the needs and concerns of senior citizens in Brevard County. Issues addressed, include crime prevention, personal safety, health concerns, transportation needs and other important topics that arise as our senior population nearly doubles over the next 30 years. Titusville, FL - Brevard County TRIAD has been awarded a $5,000 grant from the Jess Parish Medical Foundation to support the work of TRIAD's Project Lifesaver Program in North Brevard. Project Lifesaver is a program designed to assist in the tracking and locating of persons with Alzheimer's and related mental dysfunction disorders, such as Down's Syndrome and Autism. A personalized radio transmitter bracelet is worn by participants of the program, and with the use of the Sheriff's Aviation Unit and patrol deputies, participants are located should they become missing. While an estimated 5,000 Brevard County residents with memory difficulties could be eligible for the program, there are only 100 currently being served. Joe Downs, BCSO Volunteer of the Year, for his work with Project Lifesaver, notes "Brevard TRIAD is blessed to receive this funding to cover our endangered residents in need in the northern part of the county. We will be able to serve so many more families!" 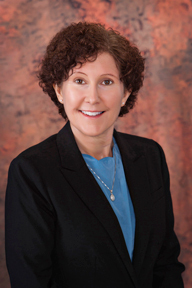 BREVARD COUNTY, FL – Hospice of St. Francis' Medical Director, Elizabeth T. Galfo, MD, FACP, FAAHPM, HMDC, was recently granted the Hospice Medical Director Certified credential by the Hospice Medical Director Certification Board. Dr. Galfo was recognized for her commitment to promoting quality of life for terminally ill patients and their loved ones, by displaying professional competency as a leader in hospice. Hospice practice includes patient care, medication management, engagement in interdisciplinary group (IDG) activities, quality assessment and performance improvement, regulatory compliance, and much more. Professional certification affirms a knowledge and experience base for hospice practitioners to display commitment to their career, dedication to patient and family care, and the sustainability of the hospice organization and industry. Dr. Galfo is Board Certified in Internal Medicine, Geriatrics and Hospice and Palliative Medicine. She is a Fellow of both the American College of Physicians and of the American Academy of Hospice and Palliative Medicine. For the past 18 years, she has served as Senior Medical Director/Chief Medical Officer of Hospice of St. Francis. As a result of her innovation and excellence of practice, Dr. Galfo has earned the trust and respect of her colleagues, and has championed cutting-edge end-of-life care for patients and support for their families. BREVARD COUNTY, FL - Brevard County TRIAD, Inc. recently launched their new website. In an effort to accomplish their mission" ... to mobilize community resources to enhance the quality of life of senior citizens," Triad envisions the new site to be a valuable source for seniors and their families throughout the county. The site includes resources, links, and event information. Additions to the site include a community calendar of events with drug-take back days, safety events, and shredding events. Joe Downs, president of Brevard County Triad, shared "With the new website, the residents of Brevard County are able to have more current information about the resources we provide and those available in our community. By working in concert with local businesses and Law Enforcement, our special needs residents and caregivers have the very best source of information available." BREVARD COUNTY, FL – Space Coast Volunteers in Medicine (SCVIM), an appointment based, free non-emergency wellness clinic offers basic primary medical and dental care for uninsured residents. To qualify for services, the person must be a resident of Brevard County, be between the ages of 18 and 64, have no health insurance of any kind, not receiving Medicaid and have an annual household income at or below 200% of the federal poverty level (FPL). Space Coast Volunteers in Medicine recognizes and respects the dignity of those in need. SCVIM's main focus of care is diabetes, heart disease, high blood pressure, high cholesterol, weight control/nutrition, and gynecology. Services are limited for other health conditions. More details on services provided can be obtained at SpaceCoastVolunteersInMedicine.org. Call 321-639-5813 to make an eligibility screening appointment. Documents needed for SCVIM to determine financial eligibility can be downloaded and printed from the website. Anyone already receiving financial assistance must bring a completely filled out "Letter of Support" form to the eligibility determination appointment. Brevard County, FL - Space Coast Volunteers in Medicine (SCVIM) is seeking physicians, nurses and dentists to donate their time and services. All specialties are welcome, and any amount of time offered is greatly appreciated. Providers may choose to see patients at their own office or at the SCVIM office in Viera as often as they wish. All donations of services qualify providers for Sovereign Immunity from the State of Florida. Sponsors and fundraising volunteers, in any capacity, are also a critical component and are needed, as well. Space Coast Volunteers in Medicine is an appointment based, non-emergency clinic that provides free basic primary medical and dental care for Brevard County residents falling at or below 200% of the Federal Poverty Level (FPL). Many patients cannot qualify for Medicaid, nor can they afford health insurance. By providing this essential safety net of services, the clinic is able to meet the community's most basic needs. SCVIM's "Culture of Caring" recognizes and respects the dignity of those in need, with an emphasis on the importance of preventative medicine and health education. They seek to heal not only physical illnesses, but also injuries caused by bias, prejudice and indifference. Working on the belief that every patient can take charge of improving their own health by making informed choices, they address ailments of the body, and if requested, support the mind and spirit by providing clients with wellness counselors and spiritual support. All donated professional services and proceeds benefit the operation of Space Coast Volunteers in Medicine, a 501(c) 3 non-profit organization, operated by a 100% volunteer staff. SCVIM's mission is to provide free medical and dental care in a compassionate and professional manner. To learn more about volunteering professional services or making a donation, call 321-639-5813. Since opening in 2011, Space Coast Volunteers in Medicine (SCVIM) has seen over 8,600 patients and has donated more than $3 million in free medical and dental care. The clinic is funded exclusively with private donations and grants. Statistically, 20.7% of Brevard residents age 18 – 64 have no insurance coverage. 40.6% of adults in Brevard have difficulty accessing healthcare and 33.6% of the people in Brevard County live at or below 200% of the Federal Poverty Level. Brevard County TRIAD, Inc., a non-profit organization, its many organizations and business partners work together to develop programs that address the issues of our growing senior population, announced the installation of the 2015 slate of officers and directors. The officers and directors of the TRIAD board were installed by Phil Archer, State Attorney, 18th Judicial Circuit, at a recent meeting. "We have a lot of new plans for TRIAD in the coming year. Our board will work diligently on ramping up the services we provide to seniors in our community," stated Joseph Downs, TRIAD Board President. "We have already begun to work more closely with the Sheriff's Department on Project Lifesaver and with the Brevard County Joint Crime Task Force on bringing our Crime Prevention program back to the forefront. We have many more plans for reaching out to our seniors and a great board of directors to make that happen." The 2015 Slate of Officers include: Joseph Downs, Brevard County Sheriff's Office /Westminister Asbury Retirement Community, President; Sara Leidich, TEHC Healthcare, Vice President; Laura Moody, Office of the State Attorney, 18th Judicial Circuit, Treasurer; Terry Stone, Hospice of St. Francis, Secretary; and Jennifer Helin, Seniors Helping Seniors, Public Information Officer. Directors include: Tom Barry, Titusville Police Department; Debbi Davis, Chief Investigator, State Attorney's Office; Jacquie Esterline, Levin Home Care; Terri Goodwin, State Attorney's Office; Marilyn Hayes, Community Volunteer; Norman Hayes, Community Volunteer; Ken Jones, Melbourne Police Department; Harriett Mirsajadi, Melbourne Police Department Crime Prevention Unit; Kim Scarboro, VITAS Healthcare; Tom Sawyer, SHINE; and Andrew Walters, Brevard County Sheriff's Office. Brevard County TRIAD, Inc. is a partnership between the Brevard County Sheriff's Office, local Law Enforcement agencies and the State Attorney's Office created in 1998. TRIAD is tasked with identifying and developing programs to address the needs and concerns of senior citizens in Brevard County. Issues addressed include personal safety, health concerns, transportation needs and others have important topics as our senior population nearly doubles over the next 30 years. VIERA, FL - The Women's Center in Brevard is reaching out to the residents of Heritage Isle in hopes of finding new members to assist in their outreach program. The South Guild of the Women's Center will be hosting a membership informational meeting on Tuesday, February 10, 2015 from 1 p.m. to 3 p.m. in the clubhouse at Heritage Isle. The clubhouse is located at 6800 Legacy Blvd, Viera 32940. The Guild is the fundraising arm of the Women's Center in Brevard, the members act as goodwill ambassadors and advocates, enhancing community awareness and broadening the base of financial support. The Women's Center in Brevard is a non-profit, domestic violence resource center whose mission is to empower women and their families to achieve safe, healthy, self-sufficient lives by providing support, education, counseling, information and services. For more information about programs and services call 321-242-3110 or visit www.womenscenterinbrevard.org. PALM BAY, FL (January 14, 2015) – Validus Senior Living™ announces the Grand Opening Celebration for its newest memory care community, InspiredLiving at Palm BaySM this Friday, January 16th from 11 am to 2 pm. The event will take place at the community located at 380 Malabar Road SW, 3 miles west of I-95. Grand Opening festivities will include a homestyle brunch open to the public featuring gourmet food stations, a custom dessert table and ice sculpture, outdoor musical entertainment in the spacious courtyard, housewarming tours, plus giveaways and door prizes. Valet parking will also be available. Two ribbon-cutting ceremonies will take place at the event: one at 12 noon with the Melbourne Chamber of Commerce and the other at 5 pm with the Palm Bay Chamber of Commerce. There will also be a special tribute to Dr. Charlotte Willis, a beloved friend and community partner, with a dedication taking place in the Butterfly Garden at 6 pm. "In addition, there could very well be a visit from former players of the NFL, including two-time Super Bowl Champion Tom Herter," said James Brassard, Community Relations Director. InspiredLiving at Palm Bay consists of 58 memory care suites and features leading-edge technology, personalized memory care and assisted living services, as well as customized programming specifically designed to meet the needs and preferences of its residents. Validus Senior Living CEO Steven Benjamin states, "Our new community is the most innovative senior residence in Palm Bay and one of the most technologically advanced memory care communities ever seen in Florida. But what makes us stand out from the rest is our personal approach to care." All memory care suites feature the latest resident location (GPS) technology, an emergency call system and keyless door locks. This cutting-edge technology enables family members to participate and engage in the care of their loved ones regardless of distance, giving them a sense of comfort and peace of mind. It also enables visiting physicians to locate their patients quickly as residents explore the expansive but secure campus. Resident services and programming are based on a personalized care plan that focuses on the resident's choices, abilities, preferences and needs. "When we first meet with a resident, we learn about her or his life story from family members," says Michele Lyon, Executive Director at InspiredLiving at Palm Bay. "We learn all about our residents' interests, hobbies, past professions, family traditions and more," explains Ms. Lyons. "Our goal is to make them feel at home here. We want to know about those little things that make residents happy. Those little things can really make a big difference." Community features and amenities are also designed to meet the needs and preferences of residents. Dining options feature brain-healthy foods served in either a Tuscan-style country kitchen or a more formal Vegas-themed dining room. Fresh, chef-prepared meals are served "grind dining-style," with visually pleasing, easily handled portions for those residents with cognitive, neuromuscular and chewing disorders. Dining hours are flexible with snacks and refreshments available anytime throughout the day. The expansive, secure courtyard at InspiredLiving at Palm Bay features a gazebo with butterfly garden, beautiful landscaping with raised flower and vegetable beds, walking paths and seating areas – giving residents the option to seek out friendly conversations with new friends or to simply enjoy a little fresh air and nature on their own. Other services include daily tidying and weekly suite deep cleaning, full laundry service and on-site therapy services. Licensed nursing care is also available 24 hours a day, 7 days week. For information on InspiredLiving at Palm Bay, please contact Michele Lyon or James Brassard at (321) 574-6290. Validus Senior Living, a rapidly growing senior lifestyle company based in Tampa, FL, owns and operates a complete continuum of leading-edge senior living communities, including independent living, assisted living and memory care. Validus Senior Living's focus is creating vibrant and livable communities with highly personalized care based on individual needs and preferences. An affiliate of Validus Group, a private investment management firm that develops, owns and manages real estate related businesses, Validus Senior Living also provides property development, acquisition and management expertise. For information on Validus Senior Living, please call 813-330-2660 or visit www.ValidusSeniorLiving.com. BREVARD COUNTY, FL - Mina Zeini, MD, Medical Director at the Hospice of St. Francis Edward M. Poe Hospice Care Center, was named an inspirational leader in hospice and palliative medicine under the age of 40 by the American Academy of Hospice and Palliative Medicine (AAHPM). AAHPM asked its 5,000 members to nominate individuals who are the young leaders in the field. Dr. Mina Zeini is one of these physicians recognized by her peers for innovation in and dedication to the medical specialty of Hospice and Palliative Medicine and AAHPM. Award winners will be recognized at the AAHPM & HPNA Annual Assembly in Philadelphia, PA in February 2015. "These individuals are enhancing care for seriously ill patients and their families through innovation, education, mentoring and clinical care," noted Jean S. Kutner, MD MSPH FAAHPM, president of the Academy. Mina Zeini, MD received her medical degree from the University of Florida in 2001 and completed her Family Medicine Residency serving as Chief Resident in 2004. Her Geriatric Fellowship training was completed at Florida Hospital where she was preceptor to Medical Students, Residents and Fellows. Her expertise earned her the position of Assistant Clinical Professor in the Department of Geriatrics at Florida State University. 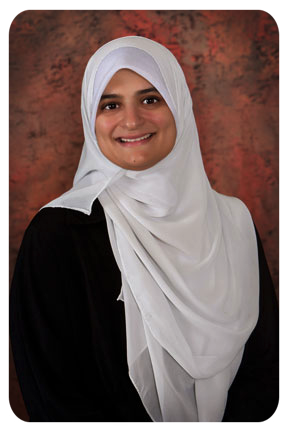 She is also a volunteer faculty at University of Central Florida College of Medicine. Dr. Zeini is certified in Hospice and Palliative Care Medicine, Geriatrics and Family Medicine by the American Board of Medical Specialties and is a Certified Medical Director in Long Term Care by the American Medical Directors Association. She is passionate about achieving excellence in end-of-life care. "This award is a highlight in my career and is a reflection of my commitment to Geriatrics and end-of-life care in particular," stated Dr. Mina Zeini. "I truly feel it is an honor and privilege to assist patients and families in very difficult times. I am humbled that my colleagues chose me to receive such a prestigious award." More information on this Award, including the list of the award winners, visit the Academy's website www.aahpm.org. 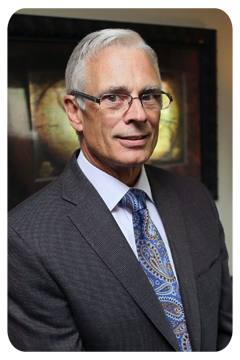 (Titusville, Florida) Joseph Killian has been chosen by the board of Hospice of St. Francis to become the organization's Chief Executive Officer, effective December 1, 2014. Until this appointment Killian was the CEO of Hospice of Southwest Ohio in Cincinnati, Ohio. "Killian is an experienced senior hospice executive with a record of achievement distinguished by a strong strategic vision," said Tony Hurt, board chairman for Hospice of St. Francis. "He impressed us with his exceptional relationship-building skills and his proven ability to run a complex organization effectively." As CEO, Killian will be responsible for the direction and implementation of all hospice services, ensuring quality patient care while maintaining financial viability. "We have found Killian to be a strong, 'hands-on' leader," said Kim Rodriguez, a member of the board of directors for Hospice of St. Francis. "He communicates well across managerial, staff and functional lines. And he has strong financial and analytical skills with the ability to make the decisions that will help move our organization forward." Killian's work history contains several executive positions in Cincinnati, including company ownership in Benefit Plans Risk Management, Inc.; COO of S & S Healthcare Strategies; Director of Geriatric Services & Operations for the Health Alliance of Greater Cincinnati (a six hospital health system); General Manager of VITAS innovative Hospice Care and the CEO of Hospice of Southwest Ohio. Developed the first geriatric house call program utilizing physicians and nurse practitioners for a 6 hospital healthcare system. Developed telemedicine program for hospice patients suffering from congestive heart failure. Developed the first robotic program and improved patient care provided at the In Patient Unit. "Killian brings the skills needed to be an effective CEO for Hospice of St. Francis," said Rodriguez, "And he understands how important it is for our Brevard residents to have a locally-owned, not-for-profit option for hospice care. That independence allows our people to make decisions from the heart because it is what is right for the patient. The board is confident that Joseph Killian will continue this long tradition at Hospice of St. Francis." TITUSVILLE, FL -- Elizabeth Galfo, M.D., of Titusville, FL, earned the designation Fellow of the American Academy of Hospice and Palliative Medicine (AAHPM). The Academy is the professional organization for physicians who care for patients with serious illness. Advancement to fellowship status within the academy honors dedication to and scholarship in the field of hospice and palliative medicine. The distinction represents a minimum of five years of membership, participation in AAHPM activities, letters of recommendation, and board certification in hospice and palliative medicine. Dr. Galfo is Medical Director at Hospice of St. Francis in Titusville, FL where she has been employed for 12 years. She received her medical degree from Oral Roberts University. She trained in Internal Medicine and served as Chief Resident for one year at City of Faith Hospital in Tulsa, OK.
Dr. Galfo will receive the FAAHPM designation during the Annual Assembly of the American Academy of Hospice and Palliative Medicine and the Hospice and Palliative Nurses Association in San Diego, CA on Saturday, March 15, 2014. The American Academy of Hospice and Palliative Medicine's membership includes more than 4,900 physicians and other healthcare professionals committed to improving the care of patients with serious or life-threatening conditions. Since 1988, AAHPM has supported hospice and palliative medicine through advancement of clinical practice standards, fostering research, providing education and through public policy advocacy. TITUSVILLE, FL – Hospice of St. Francis will be hosting the Grand Opening and Ribbon Cutting Ceremony for the Edward M. Poe Hospice Care Center on Thursday, December 12, 2013 from 4 p.m. to 7 p.m. The official Ribbon Cutting Ceremony will take place at 4:30 p.m. The Care Center is located on the grounds of the corporate office located at 1250 Grumman Place, Titusville, FL 32780. The community is invited to join the celebration. The Hospice Care Center is a 15,000 square foot facility that will provide a high level of symptom management for hospice patients – 24 hours a day, seven days a week. Each of the 12-bed suites will provide adequate space for family members to visit and be complete with a private 10 x 10 porch. The care center building, with beautifully landscaped grounds, has a chapel, a playroom for children and a kitchenette for the families. Hospice of St. Francis' Care Center is the only facility of its type in North Brevard. "We are so excited to be opening our new Edward M. Poe Hospice Care Center," said Bruce Wolters, President/CEO of Hospice of St. Francis. "We will now have the ability to provide our patients with a high level of symptom management in a home-style setting. The Hospice Care Center has been one of our goals since our inception. We are fortunate that the Edward M. Poe Foundation made a significant contribution. Mr. Poe was a long-time resident of Titusville, who was tireless in helping the community. We named the Care Center in honor of him." 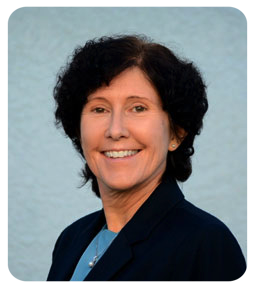 Brevard County, FL - Hospice of St. Francis announced today that Pauline Taylor, Vice President Business Development, recently was granted the Advanced Certified Hospice Executive certification administered by the California Association for Health Services at Home (CAHSAH). In order to sit for the exam, the candidate must have specified education, five years of work in hospice and a minimum of three years in an executive level position. The certification demonstrates advanced competencies for strategic positioning, financial management, and legal compliance issues required of experienced hospice administrators and senior managers, according to the credentialing organization. "We are proud Pauline chose to seek the Advanced Hospice Executive certification," said Bruce Wolters, President/CEO of Hospice of St. Francis. "Achieving this certification further demonstrates our commitment to quality and why Hospice of St. Francis is a premier provider in Brevard County." The California Association for Health Services at Home is the leading statewide home care association in the nation. CAHSAH was established in 1966 with a mission to promote quality home care and enhance the effectiveness of its members. Today, CAHSAH comprises approximately 584 members and 1,031 direct providers of health and supportive services and products in the home. Established in 1977, Hospice of St. Francis is Brevard County's longest serving and only independent not-for-profit hospice. With locations at 1250 Grumman Place, Titusville and 4875 N. Wickham Road, Melbourne, the hospice exists to provide compassionate, quality care for the terminally ill, support for loved ones and resources for community members faced with end-of-life issues throughout Brevard. Early in 2014, Hospice of St. Francis began accepting patients at the Edward M. Poe Hospice Care Center, located at 1240 Grumman Place, Titusville. The 12-suite full service hospice care facility provides short-term acute symptom management for hospice patients, 24 hours a day, seven days a week. For more information on these programs and services, please call 321-269-4240, toll free 866-269-4240 or visit our website at www.hospiceofstfrancis.com.